GenderVision consists mostly of two 28 minute programs. The second half-hour allows us to discuss personal or more in-depth issues with our guests. If your local cable channel doesn't show GenderVision, call them today. Ask them what it will take to get GenderVision shown on your local cable. They can get GenderVision directly from PegMedia.org (our preferred distribution method). Alternatively, we can send them free DVDs; all they need to do is send us an email using our contact page, and we'll add them to our distribution list. 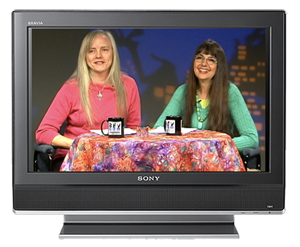 Cable Operators: All GenderVision programs are now available in cable-ready MPEG-2 format from PegMedia.org. For any cable channels who cannot download from PegMedia, we'll be happy to provide DVDs. GenderVision is pleased to refer prospective subscribers in New Hampshire to our distributor there, Jamie Capach. You can email her at mandycapach 'at' gmail.com to have GenderVision mailed to your studio.